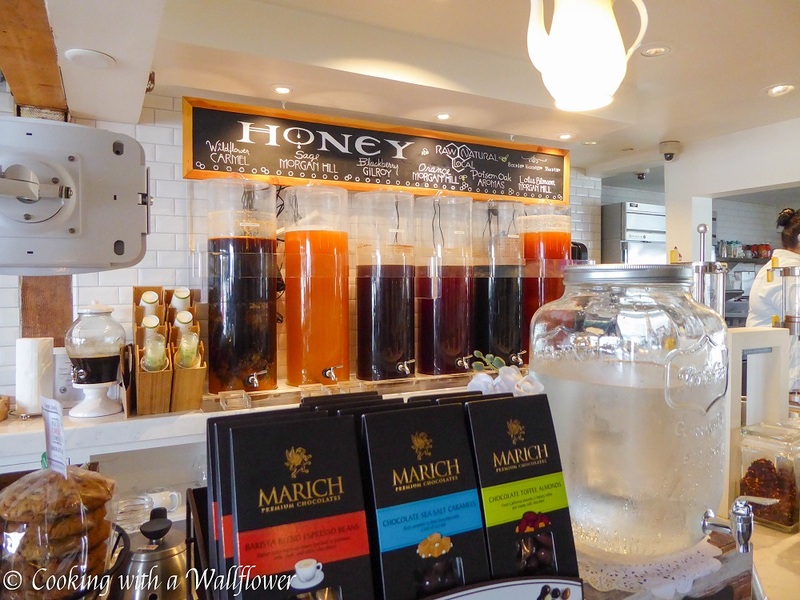 * The products in this post and giveaway are provided by Marich Chocolates. Soft and chewy cookies filled with chocolate covered espresso beans. 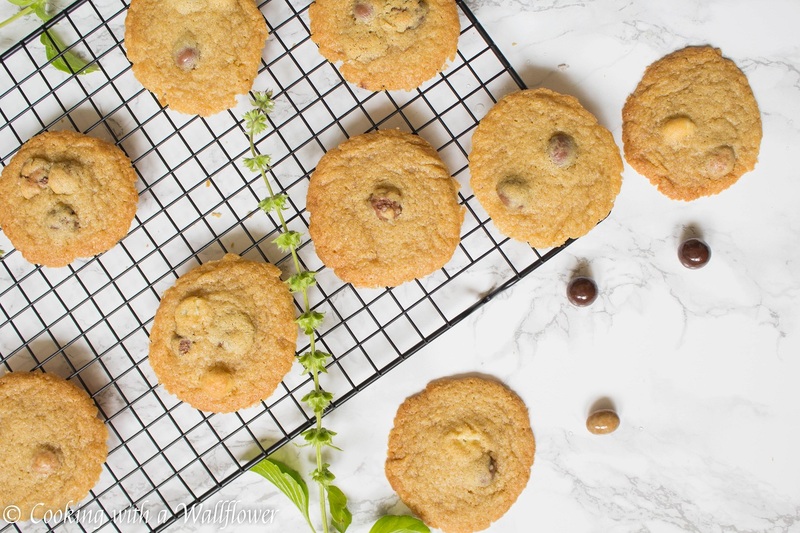 These chocolate covered espresso bean cookies are delicious and soo addictive. 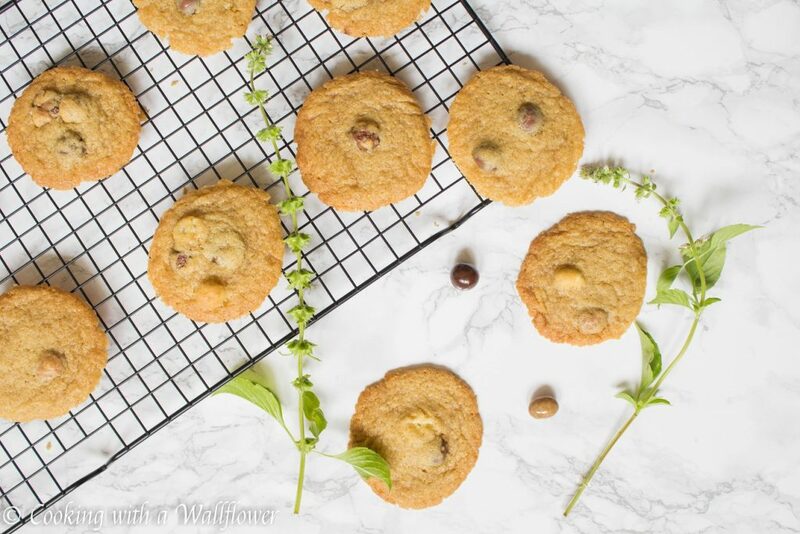 I’ve been waiting impatiently to share these chocolate covered espresso bean cookies with you. These cookies are so addictive. It’s sweet with just a hint of bitter from the espresso beans. 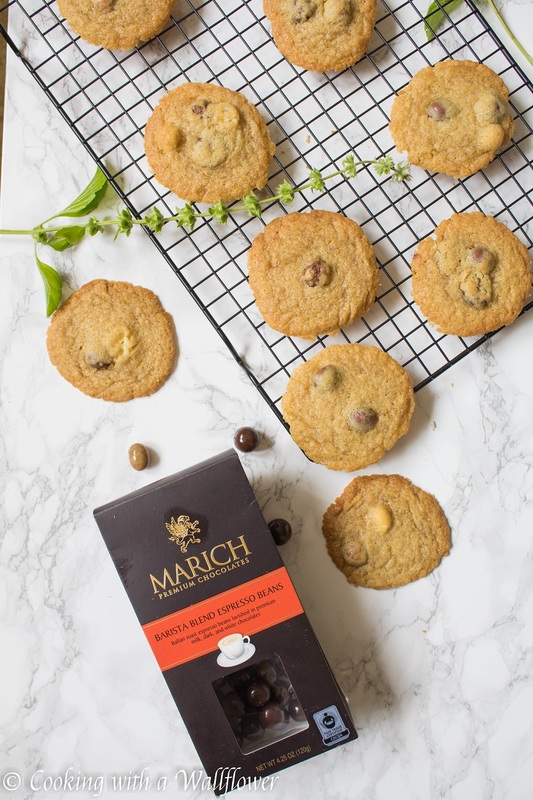 So if you’re a fan of coffee, these cookies would be perfect for you. 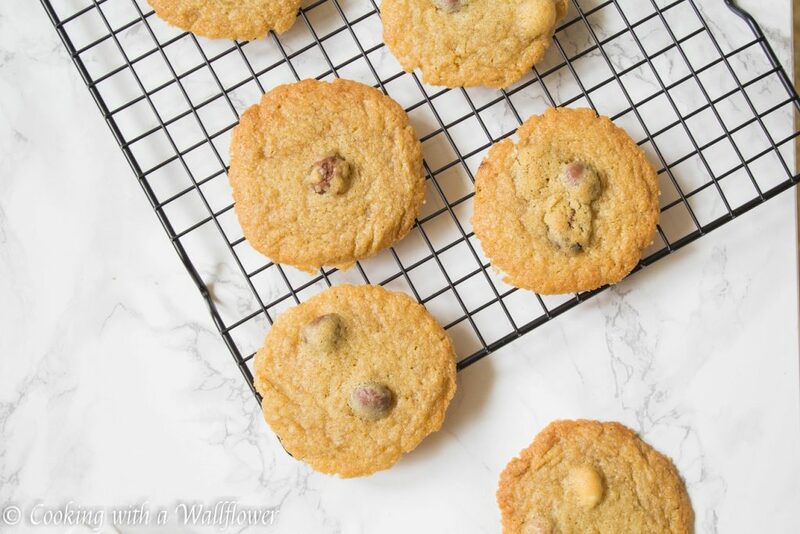 These cookies are crispy on the edges and chewy in the center. It’s exactly how I like my cookies. 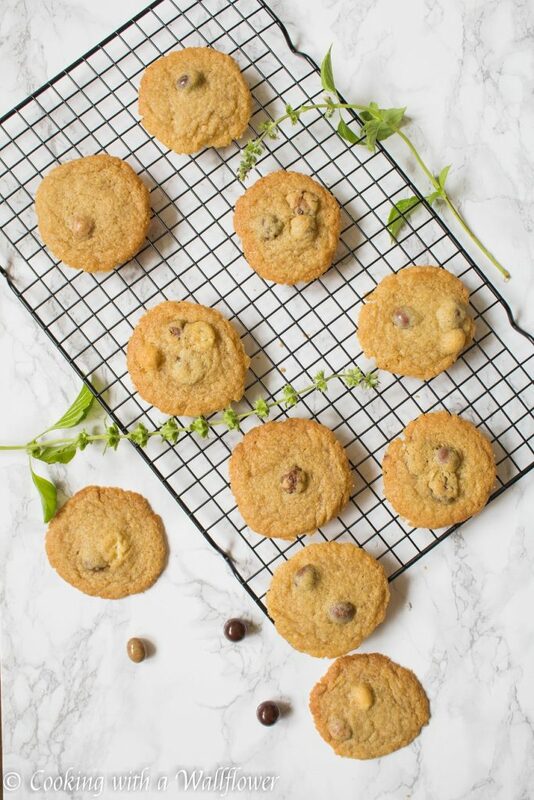 The chocolate covered espresso beans give these cookies a unique depth in flavor. 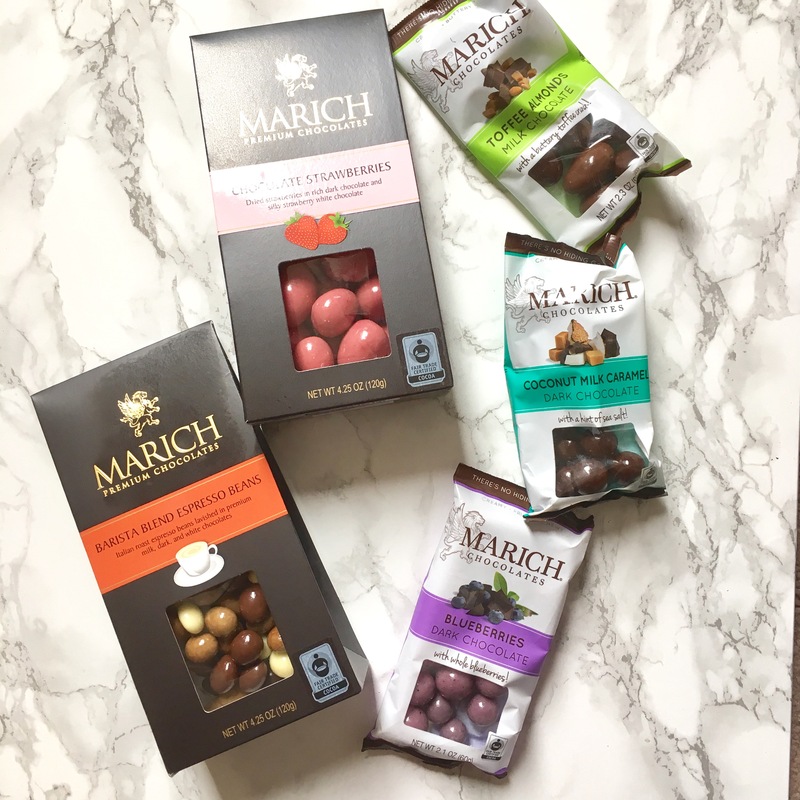 A few weeks ago, Marich Chocolates reached out to me and asked if I wanted to try some of their chocolates. I was so excited because I recently came across their chocolates during my trip to Monterey. Have you heard of them before? They’re a local Bay Area company located in Hollister. 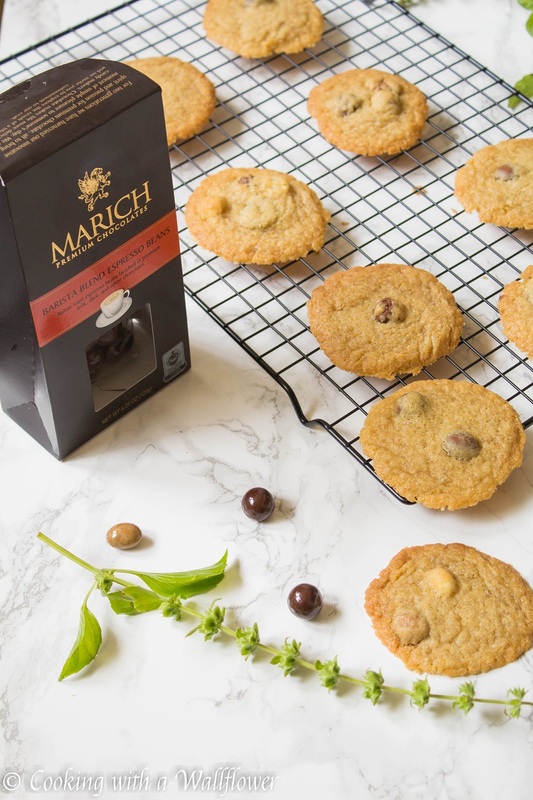 Marich brand products are fair trade certified and a good portion of their chocolates are certified Dairy Kosher. All their chocolates are made from premium ingredients and are mostly non-GMO. And there is nothing artificial in their chocolates. So you’ll definitely love the taste of their chocolates once you try them. There are so many varieties of chocolates to pick from! Chocolate covered nuts, chocolate covered dried fruits, chocolate covered caramels. You’ll definitely find one that you’ll love. 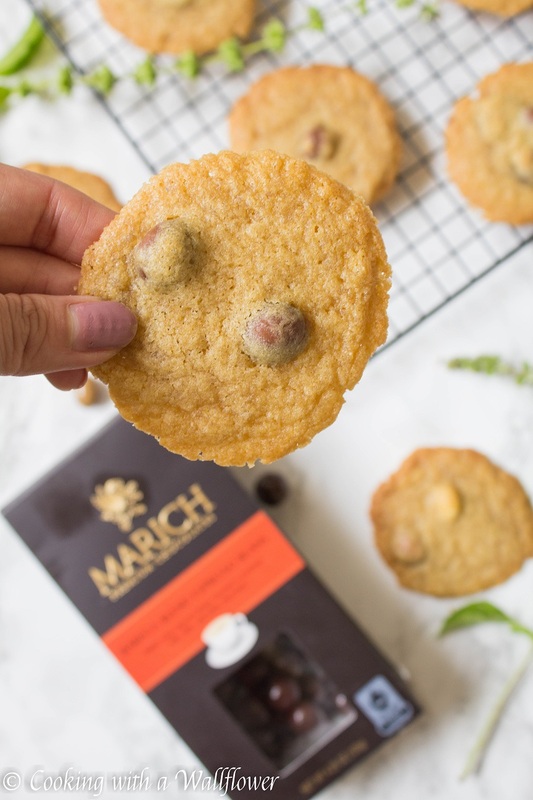 Plus, Marich Chocolates has generously teamed up with me for a giveaway of a collection of their best chocolates. Scroll down to the bottom to enter for a chance to win Marich Chocolates. I tried all of these ones below and loved every single one. But the one I’m most obsessed with are the Barista Blend Espresso Beans. These espresso beans are covered in milk, dark, and white chocolate. So you get different levels of sweetness depending on which ones you pick. My favorite to eat was the white chocolate. Sweet white chocolate covered in slightly bitter espresso beans. It’s the perfect balance in flavor. 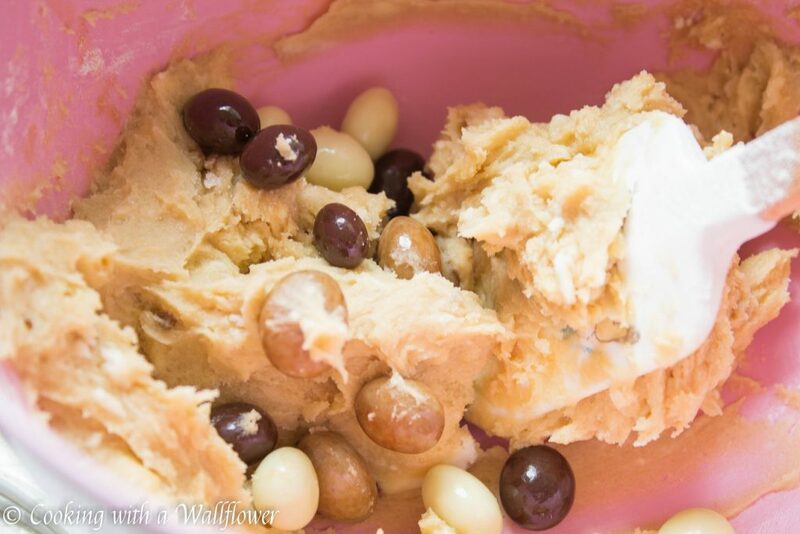 And suddenly, these chocolate covered espresso beans sound perfect in cookies! So let’s make a batch together and indulge. 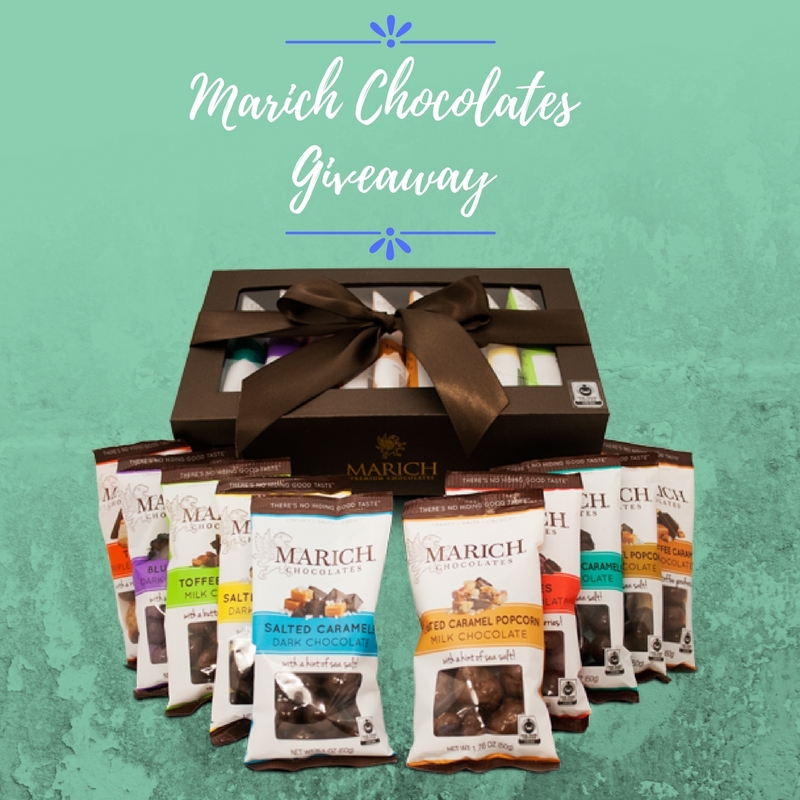 Oh, and don’t forget to scroll all the way down to enter for a chance to win Marich Chocolates! Preheat the oven to 375F. Line a baking sheet with parchment paper or silicone mat. 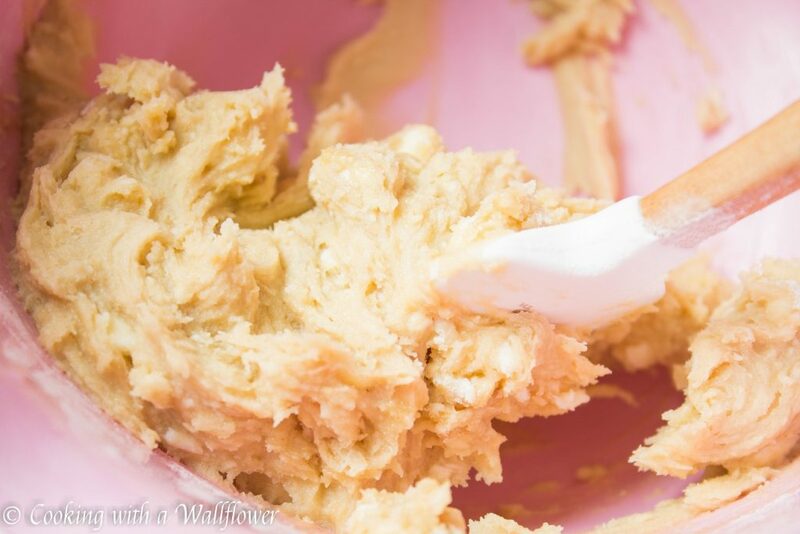 In a medium bowl, beat the butter with a mixer until smooth and creamy. Add the brown sugar and granulated sugar then beat until fluffy. Next, add the egg yolk and vanilla extract to the batter, and beat until just combined. In a separate small bowl, add flour, baking soda, and baking powder. Whisk until combined. Fold in the chocolate covered espresso beans. 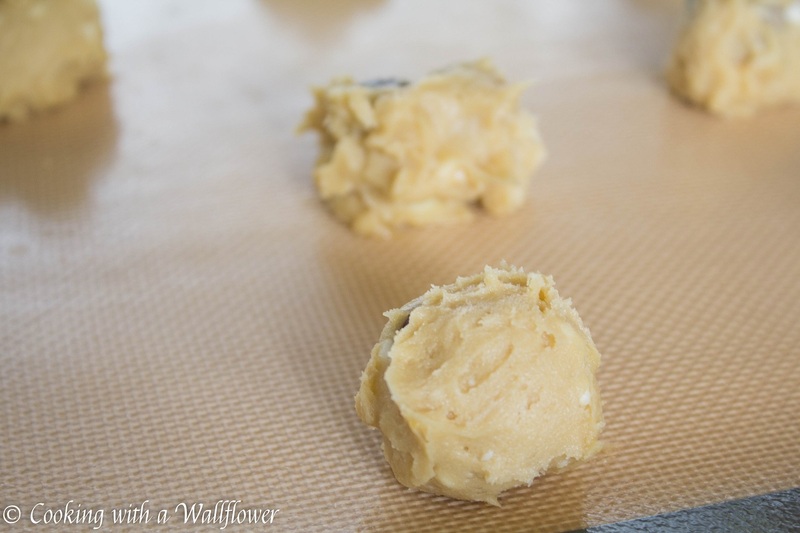 Divide the dough into 12 balls, and space them out evenly on the baking sheet. Bake the cookies for about 8-10 minutes until the edges turn slightly golden brown. Allow the cookies to cool on the baking sheet for a couple minutes before transfering to a rack to cool. Serve these chocolate covered espresso bean cookies warm. Enter the giveaway below for a chance to win the Gratitude and Cheer Box filled with 10 different individual sized bags of chocolates! This giveaway is only open to U.S. residents. Winners will be selected randomly once the giveaway is over. Preheat the oven to 375F. Line a baking sheet with parchment paper or silcone mat. This entry was posted in Cookies, Desserts, Giveaway, Quick and Easy, Recipes, Vegetarian and tagged cookies, dessert, giveaway, quick and easy, vegetarian. What a great combination of chocolate and espresso! Thank you for sharing at Fiesta Friday! I love anything cookies and espresso! These sound absolutely fantastic! These look SO delicious! I personally love all thing chocolate and coffee inspired. 😉 Thanks for posting this recipe! Hope you’ll like it, Katharine!